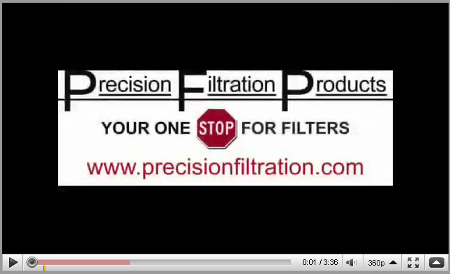 We’ve got more great filtration solutions for you! Need to treat blowdown water? How do you remove dirt or rust from fuel? Experiencing slurry oil at your refinery? The Pall Aria AP-Series Water Treatment Systems are specifically designed to meet stringent water filtration requirements, from power plant blowdown water to community drinking water. Aria systems use uniquely designed “microza” membrane modules in a hollow fiber configuration to remove various contaminants from surface and ground water sources, such as turbidity, bacteria, cysts, ooccysts, iron, manganese, and arsenic. Each 0.1μm hollow fiber module provides a high active surface area (538 sq. ft / 50 sq. m). The hollow fiber modules in the Aria system are highly permeable, resulting in high water production rates. The microza membrane systems have been approved for potable water supply. The Aria hollow fiber membrane system was the first to receive a “full system” certification in accordance with ANSI / NSF 61 specifications. 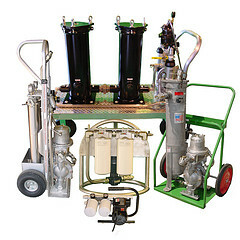 Click here to learn more about the Pall AP-Series Water Treatment System! Water contamination in hydraulic systems can severely reduce the life of hydraulic systems and fluids. The MAFH Offline Dehydration System is designed to eliminate 100% of free water and up to 90% of dissolved water from small reservoirs, barrels, and gear boxes. Using a patent-pending transfer process, the MAFH efficiently removes water and particulate contamination quickly in all environments. A proprietary design reduces aeration of free and entrained gases of returned fluid. 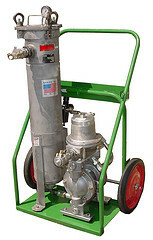 This unit was designed to be extremely portable using either the central lifting point or the optional cart to access tight areas. The MAFH Dehydration System can be used in many different applications, including steel and rolling mills, pulp and paper plants, power generation plants, tool machines, plastic machines, hydraulic operated presses, and oil conditioning. Click here to learn more about the features, technical details, and performance specifications of the MAFH Dehydration System! Fluid Catalytic Cracking (FCC) produces high-octane gasoline, C3/C4 olefins, and isobutane by the catalytic cracking of heavy gas oils in a fluid bed reactor. 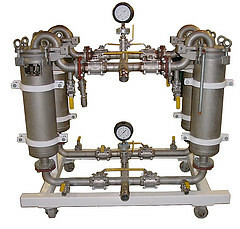 The primary product separation is carried out in a fractionator, which produces gas. This bottoms stream contains the catalyst not collected by the cyclones in the reactor, and is sometimes referred to as slurry oil. The solids concentration of slurry oil typically exceeds 1500 ppm, which must be lowered substantially before the oil can be sold. We offer effective solutions to filter the slurry oil that reduce its solid content to an acceptable level. The clarified oil can then be sold to carbon black producers at a premium, blended into the No. 6 fuel oil pool without exceeding the alumina specification, or as a boiler fuel without causing fuel nozzle erosion. Click here to learn more about slurry oil filtration and let us know how we can help you solve your related oil purification concerns! 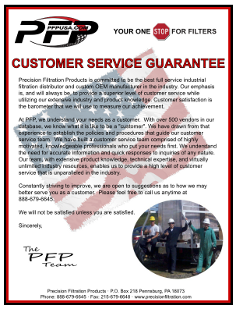 To find out more about our filtration products and how they can help you save time and money, contact us today!